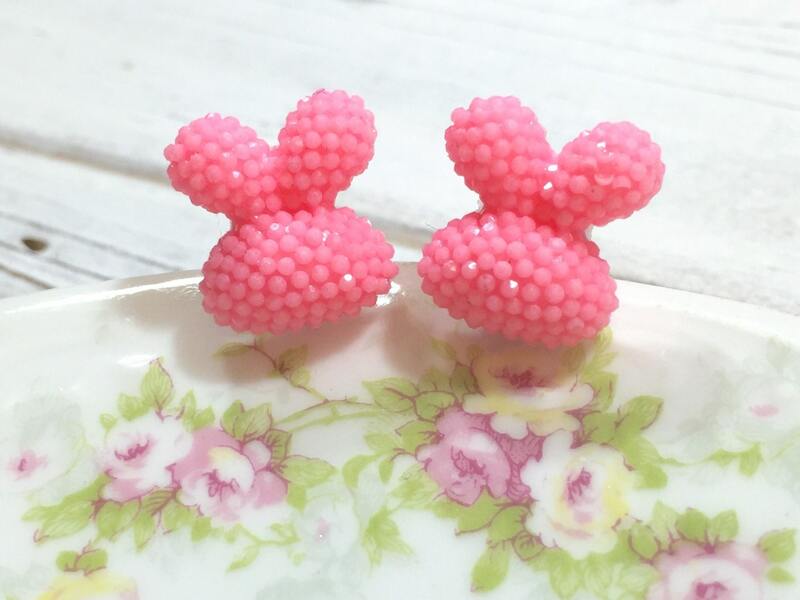 These puffy pink bunny rabbit studs just make me think happy thoughts. They are sort of druzy style in that every bump is faceted so they sparkle when the light hits them. 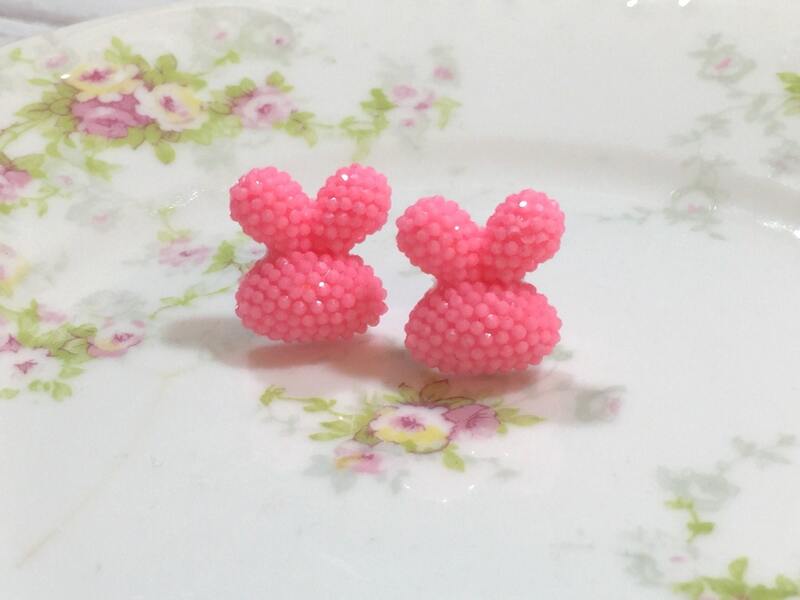 They are adorable, darling, cute, kawaii, and best of all sparkly. 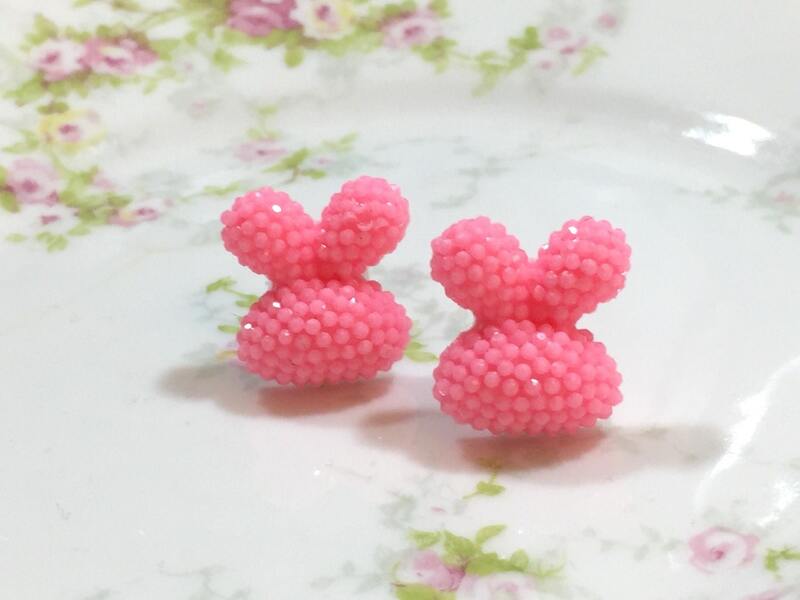 I seriously cannot think of any more descriptive words than to say these chubby glittery bunny rabbits are like almost too much cuteness to handle!!! 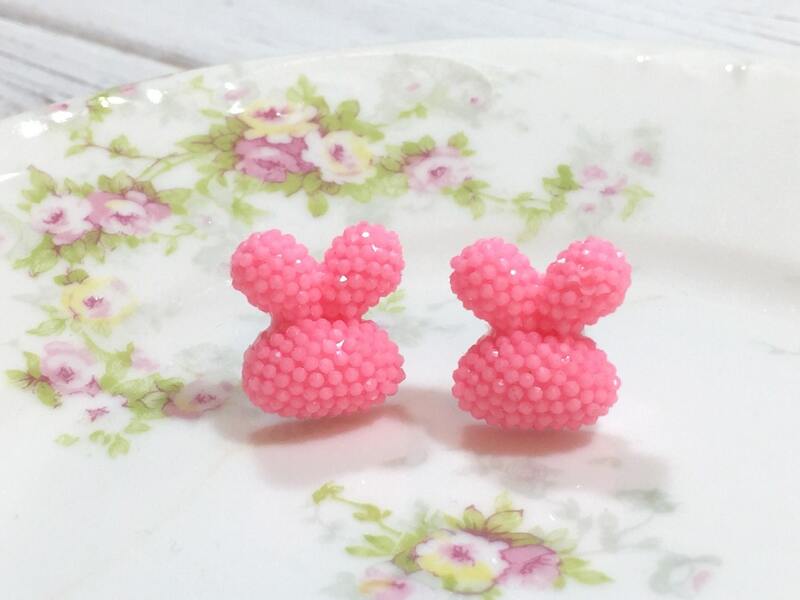 These earrings measure about 5/8 inches (16mm) in diameter.